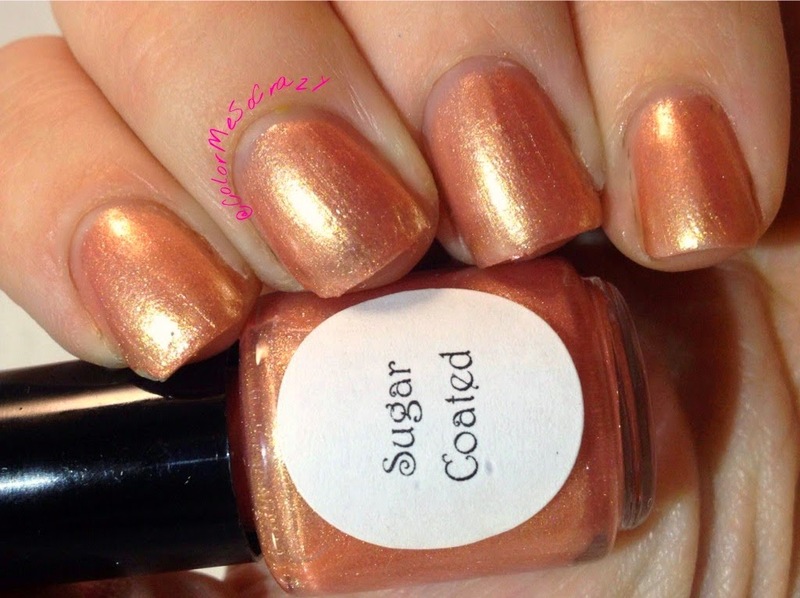 I am bringing a brand new to me Indie Brand- Lacquer by Lissa. 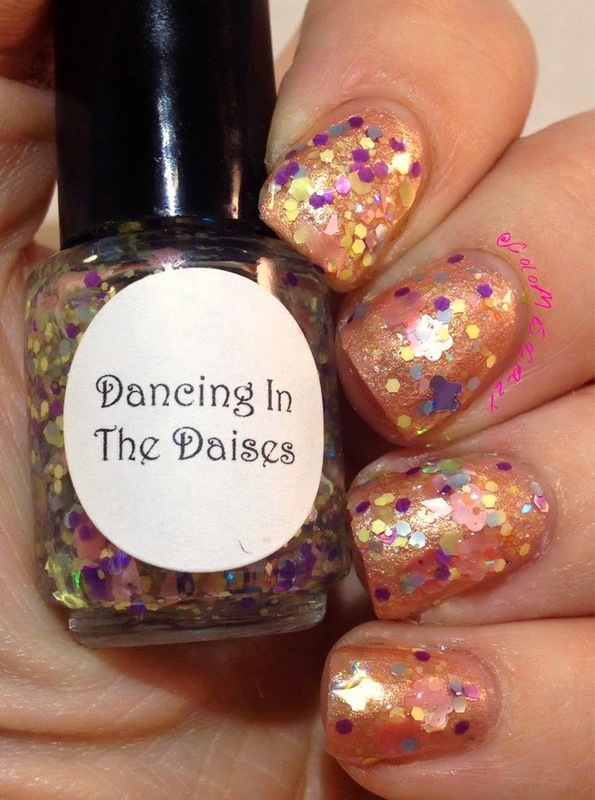 I have know Lacquer by Lissa for quite some time and I am not sure why I have not purchased anything from her until now. You all know how much I love Pittsburgh and all of my sports here. I do the NFL roundup, I do nails for the Pirates, Penguins and Steelers and I just bleed black and gold. 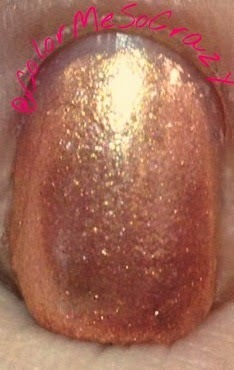 Well, Lacquer by Lissa happens to have a polish called Yinzer that I recently added to my collection. You guessed it, it's a Pittsburgh polish. I am a huge advocate for my local ladies and I think (not only because she is from Pittsburgh, but because her polishes are AWESOME) that you should check her out. 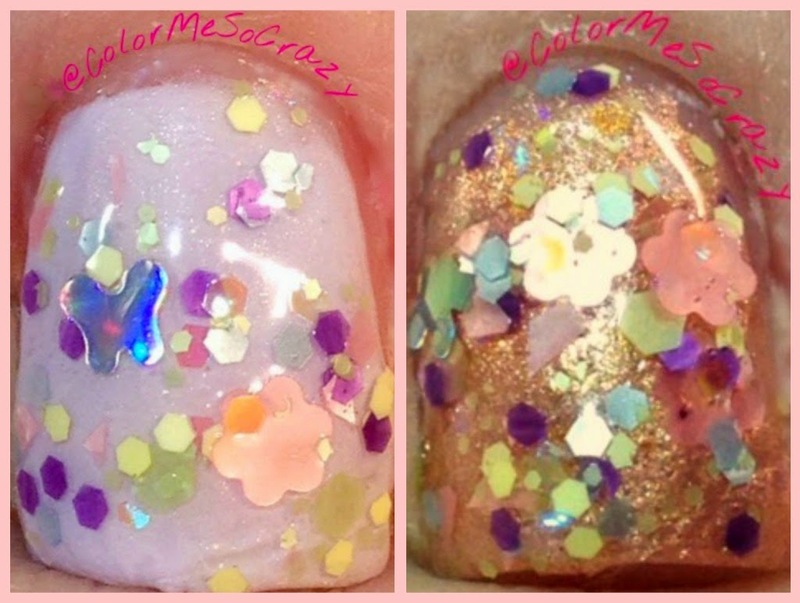 I was given the amazing opportunity to review and swatch her Spring 2014 collection. Now, on to the pretties!! This collection is currently in her shop for $8.50 each. Don't forget to tell her that you love Pittsburgh and ColorMeSoCrazy said "hi". 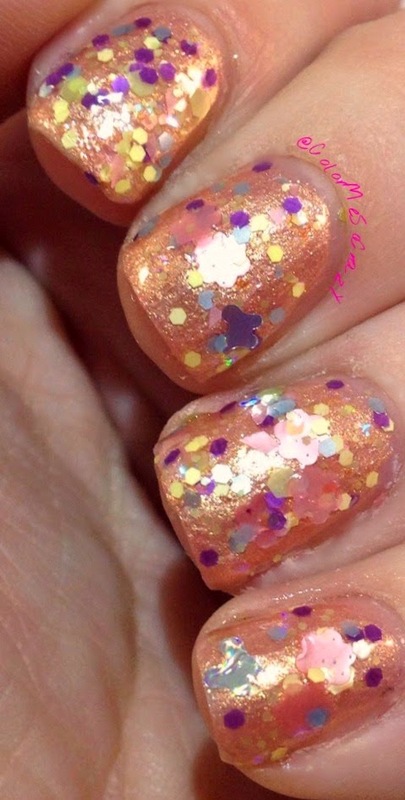 This is a cross between orange, pink and peach with shimmer. 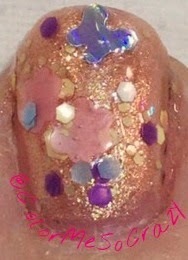 I love all of the shimmer coralish colors I am seeing this season. This is such a pretty color. 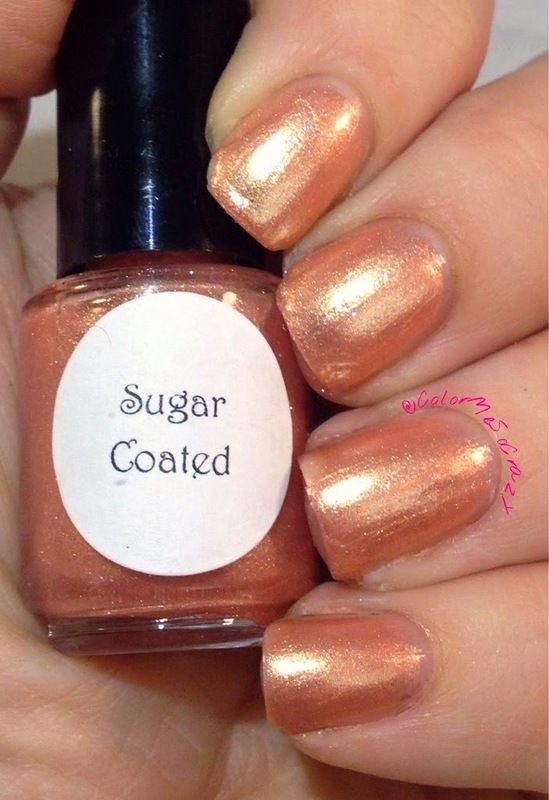 This is one of the hot colors this spring and why not get it from an indie? 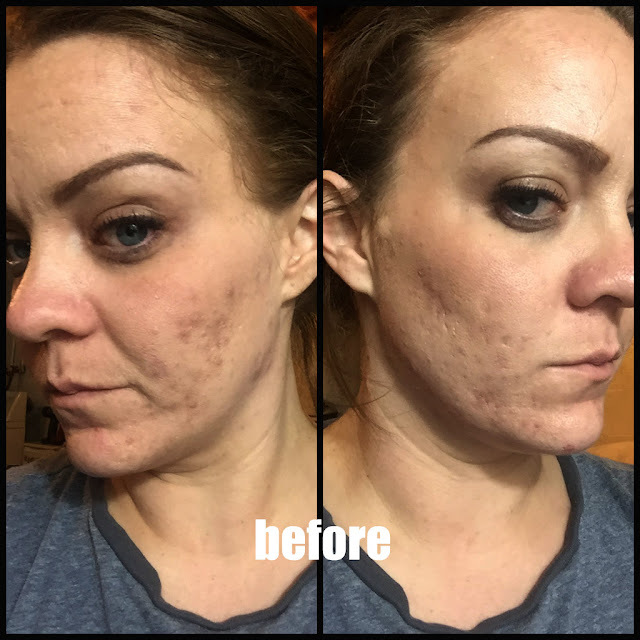 This was super easy to apply. I am wearing 2 coats in the pictures. 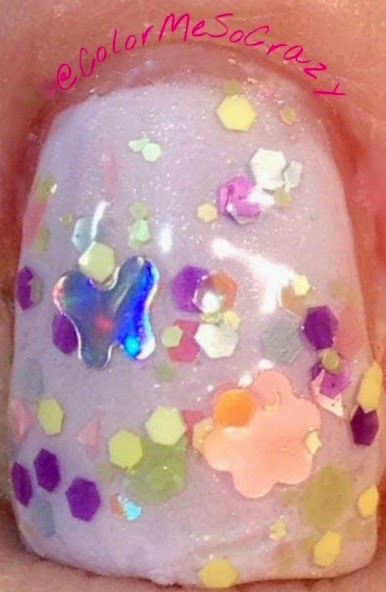 This is a clear glitter tipper made with a pastel glitter mix including bubble gum pink daises and silver holographic floating butterflies. You can also see some purple, yellow, green and blue pastel small hexes. 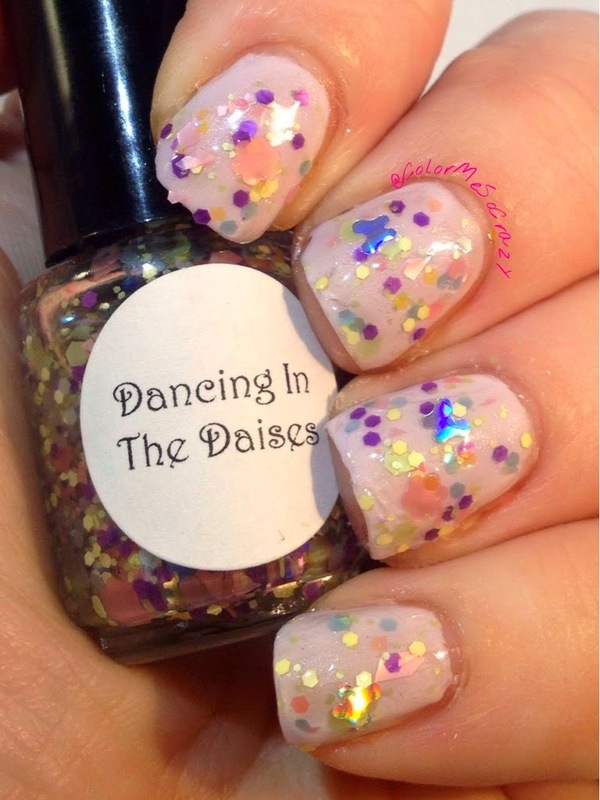 Remember when I was on the hunt for a pastel glitter polish?? Well I found it!! Now, I have to find a polish to jelly sandy this with! 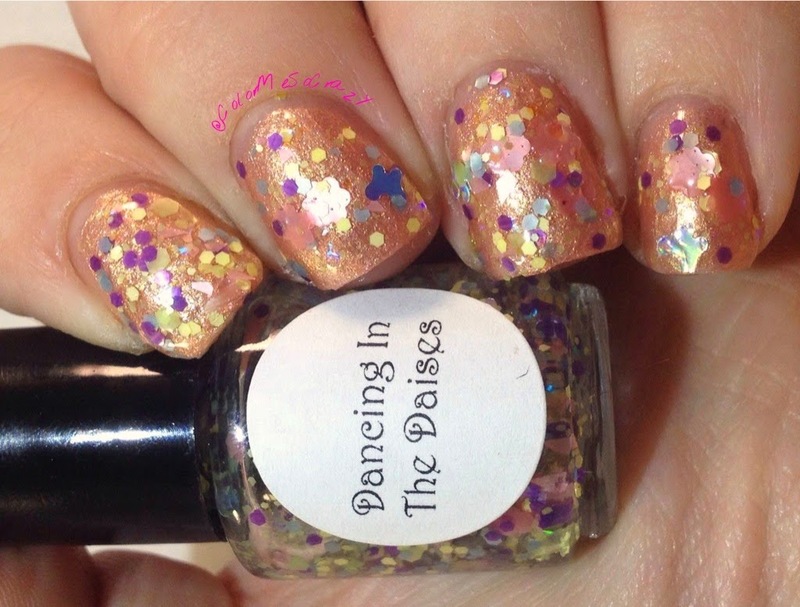 In case you didn't know this fun fact, Lacquer by Lissa also has started making decals. 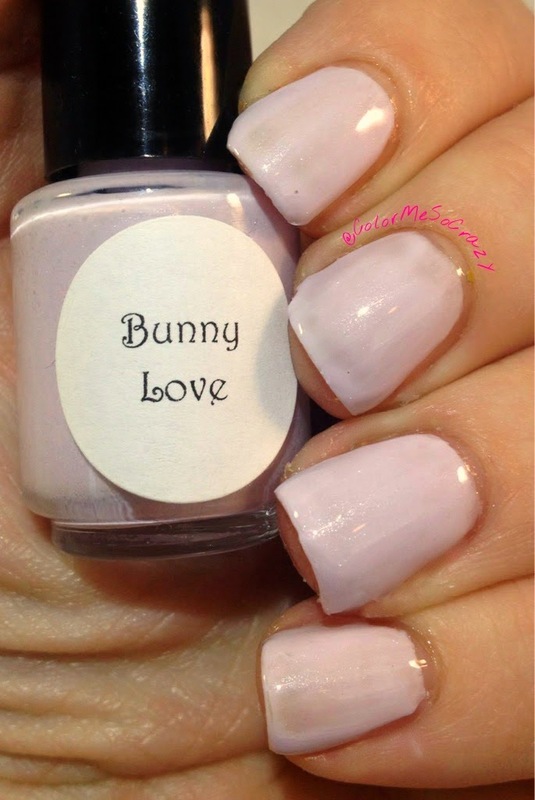 I got the privledge to try this cute little bunny for my Easter mani. They were super easy to peel off, apply and stay. I just stuck it on my *almost* dry nail and then topped it with a top coat. I used Seche. You know what?? There was ZERO bleeding. Some decals that I have used bleed. 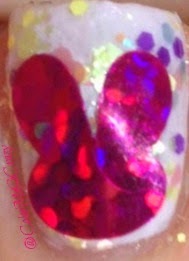 Not this holo baby!! Not only does she have several in her shop, but she also makes customs. I am already plotting my Steelers Football order!! 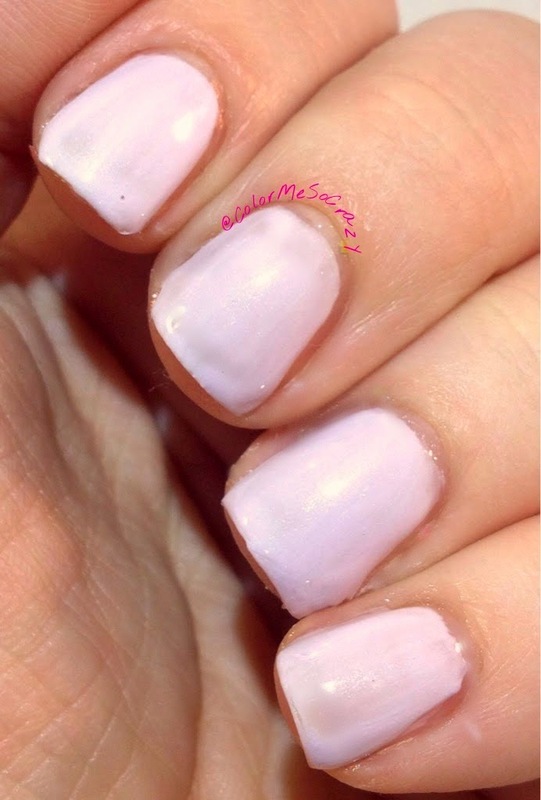 This polish is a pale lavender crelly with a subtle shimmer. This is such a beautiful spring color. These photos do not do it justice. 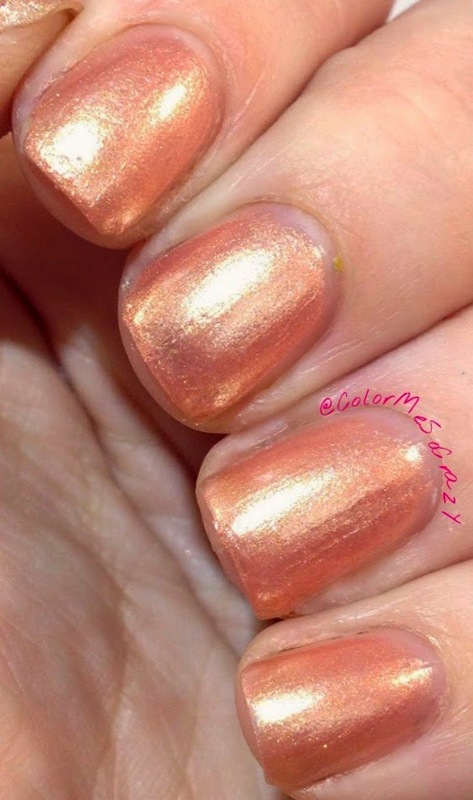 This is such a delicate color and the shimmer is really so subtle, but it is so gorgeous. This is a perfect spring wedding or Easter brunch color.